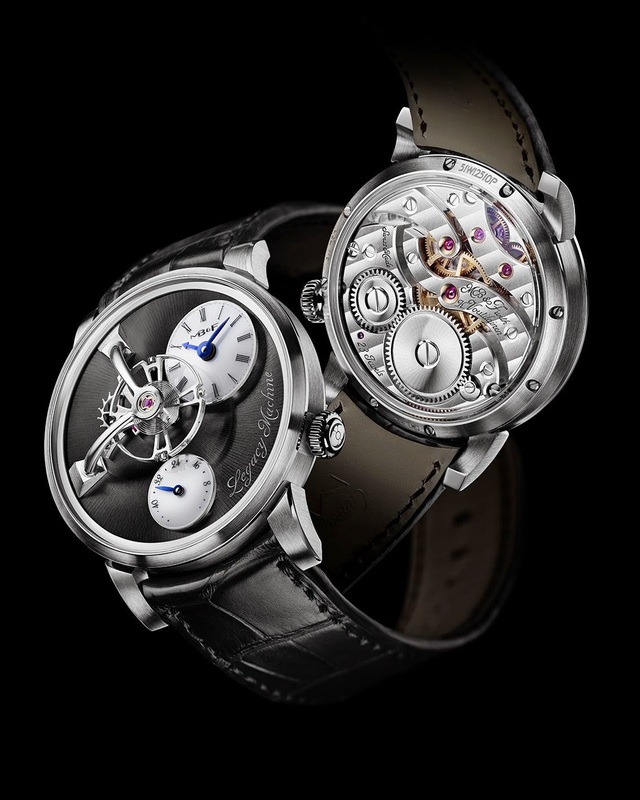 Geneva based high end horology lab MB&F unveils its latest timepiece Legacy Machine 101 (LM101). This classically designed 40mm wristwatch, which is available in 18k red gold or 18k white gold case, follows the footsteps of Legacy Machine No.1 (LM1), the first piece in the Legacy collection. 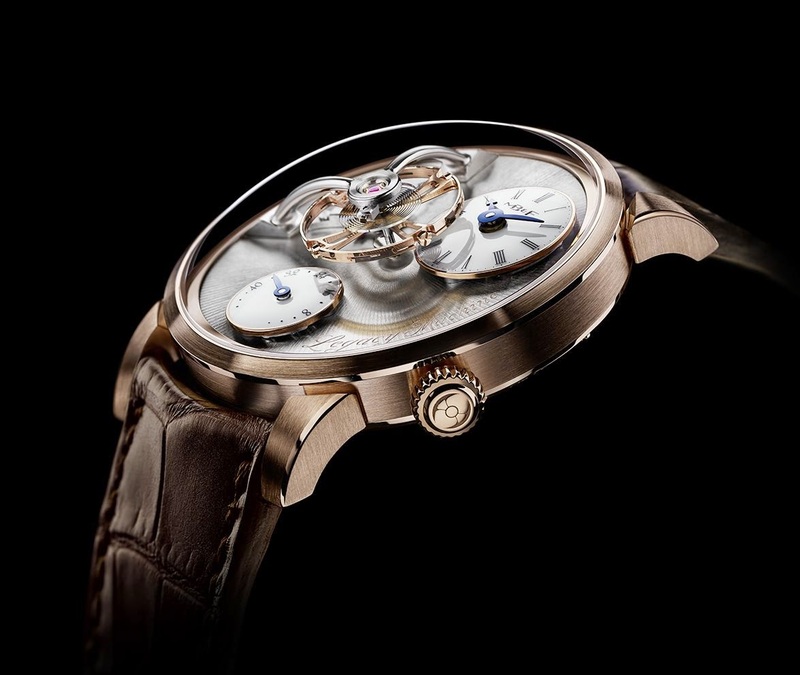 Legacy Machine 101 houses the very first movement developed entirely in-house by MB&F and embodies and accentuates the very essence of what is essential in a wristwatch: the balance wheel, which is responsible for regulating precision. 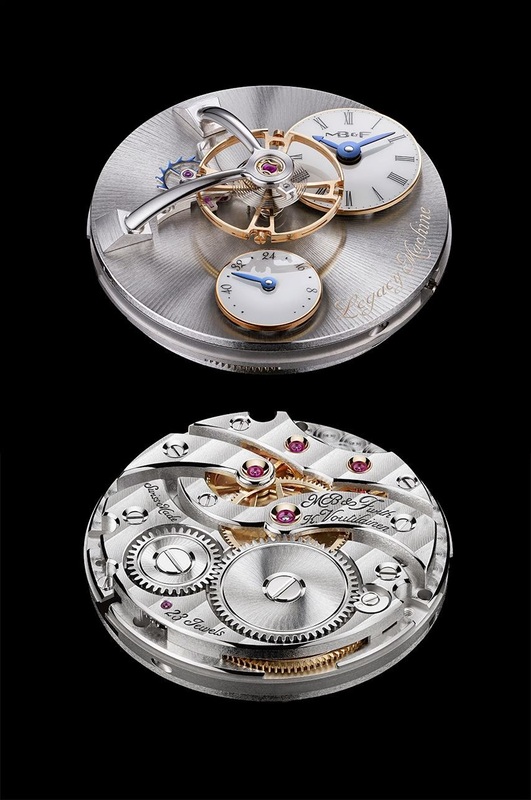 The dial of the timepiece is dominated by the monumental suspended balance wheel and two pristine-white subdials hover just above the fine sunray-engraved movement top plate: At the top right, highly legible hours and minutes are displayed by beautiful blued-gold hands contrasting against the immaculate white, while the 45-hour power reserve indicator is displayed in a smaller, but similar subdial below. Two shining metal arches support the balance wheel, and the transparency of the sapphire crystal protecting the dial makes an illusion to physically feel this towering micro architectural structure. The arches are milled from a solid block of metal and require more than five hours of hand polishing to achieve their mirror-like lustre. 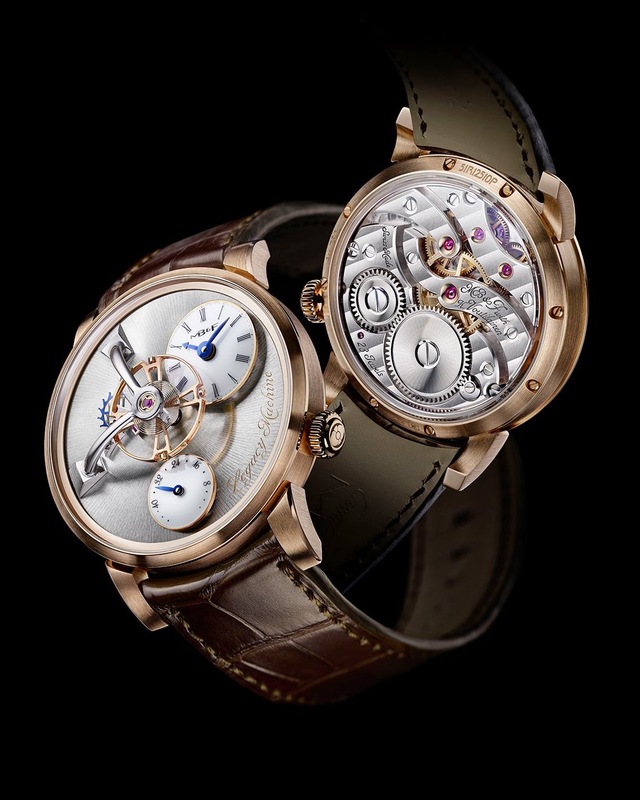 Complementing the three-dimensionality of the balance floating in space, the white dials with their bright blued-gold hands float just above the top of the movement. The dials are gently domed with a translucent, high-gloss lustre created using a process in which multiple layers of lacquer are applied and heated, causing them to stretch over the surface of the dials. To ensure aesthetic purity of the dials, a sophisticated fixation underneath removes the necessity of visually obtrusive attachment screws. A fine golden perimeter circumscribing each dial elegantly reinforces their timeless classicism. A finely engraved sun-ray pattern on top of the movement plate (dial side) subtly catches the eye at certain angles without distracting attention from the white dials of the time and power reserve indications and suspended floating balance. The display back crystal is domed to reduce the thickness of the case and case band. 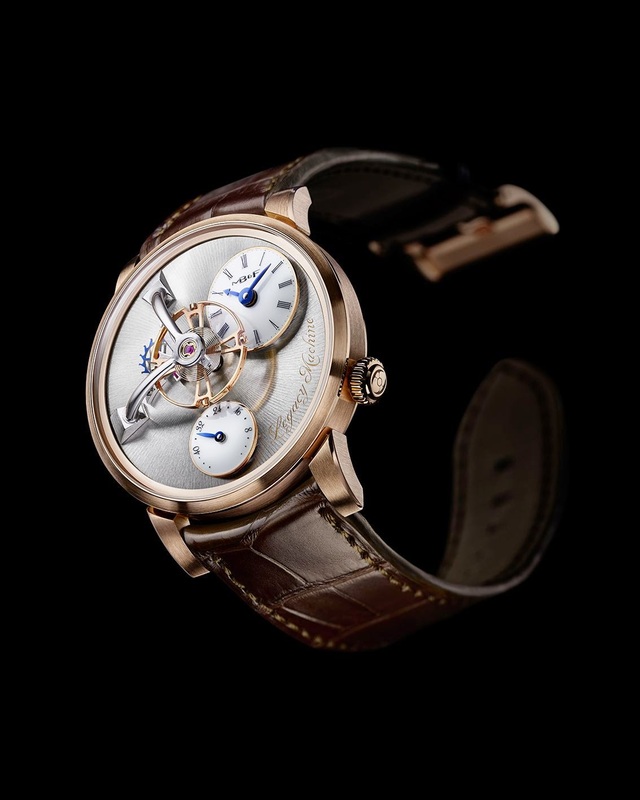 It reveals the exquisitely hand finished movement featuring sensually curved plates and bridges inspired by the style found in high quality historic pocket watches. The undulating Geneva waves, hand polished bevels, gold chatons and countersunk blued screws induce beauty and vintage charm to the in-house developed LM101 movement. 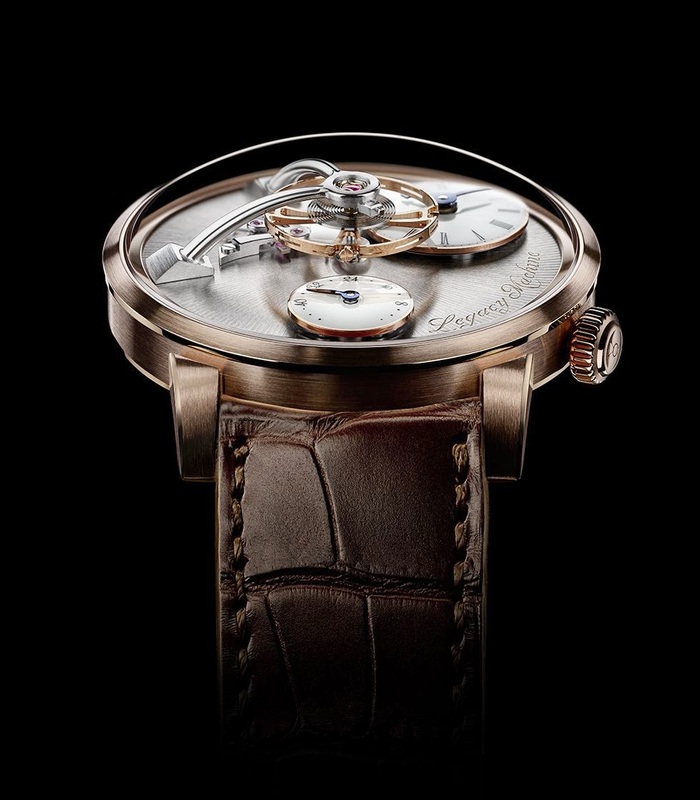 This calibre, the very first movement developed entirely in-house by MB&F, was realised under the supervision of award-winning independent watchmaker Kari Voutilainen, who assumed the responsibility for ensuring the movement’s historical accuracy of the bridge design and fine finishing.